Having a pet is more than just having an animal at your house. It becomes a family member, which means you need to take care of your pet in the finest manner possible. The same way as their comfort, diet, and activities are important, protection from the sun should not be forgotten. Your animal should be properly protected from the harmful UV rays, the same way you should. In this article, I will explain why protection from the UV rays, sun and heat is as crucial for pets, as it is for humans. Moreover, I will provide you certain affordable solutions and tips to protect your beloved pet during the warm seasons, such as summer and autumn. 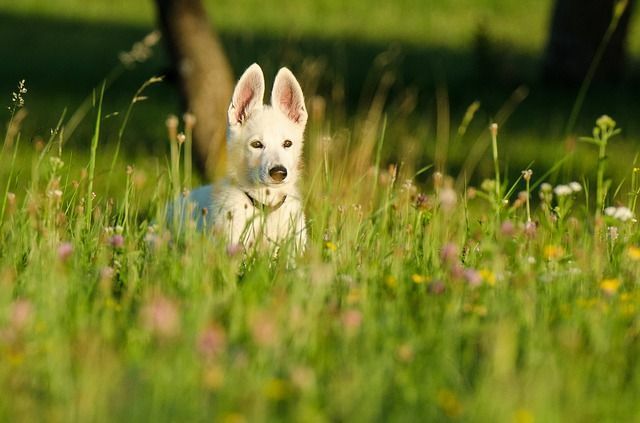 If you want to spend your days in your backyard with your family, friends, and of course your pet, you must be sure that your pet will be protected properly. Keep in mind that animals can struggle with the same issues as humans, which is why they can get sunburnt, or become completely exhausted. If your pet is often home alone, consider the options in your backyard. If that area is not properly covered, there is a higher chance that your pet won’t feel right. For all these reasons, you may want to consider awnings and canopies. Both options are perfect, because they will create shade, and make the entire environment much more comfortable. Also, when the pet is resting under the awning or the canopy, the temperature there is lower, and your cute animal will enjoy spending the day outside waiting for you to come home. These shade structures are designed to protect from UV rays, sun and heat. Moreover, they are preventing the sun from reaching the walls and windows. The entire house will be cooler and more comfortable for everyone, including your pet. As the owner of Global Shade and 2 Labradors, I understand how much you love your pets, and if you want to protect them, awnings and canopies are a wonderful option to do so. There are many useful tips which will protect your pet along with shade structures such as awnings and canopies. Make sure to apply sunscreen on the proper areas, but do not forget that you must use a cream which is pet-safe. Before you go to work, or go out, and leave your pet alone, provide plenty of water to prevent dehydration. Another excellent way to make your pet feel comfortable and protected is by installing lawn sprinklers, or using a kid’s pool. You pet is an extension of your family therefore it’s important to protect them from the elements. Your pet will definitely enjoy being under a cool awning or canopy. As a pet owner, you will have peace of mind knowing that your best friend can enjoy the outside with or without you, all day long. Make sure to check out our website for more information on our custom awnings and canopies, ideal for covering the backyard areas. Feel free to contact us, if you have any questions.